Does Your Entire Organization Benefit from FM Software? Add strategic value to your organization with service automation software. It’s a never-ending task to show the true value of facilities management to key executives and stakeholders. How can FMs show the value of facilities management and add strategic value to the workplace? Start with a company-wide adoption of a service automation solution to drive better interdepartmental collaboration and communication. 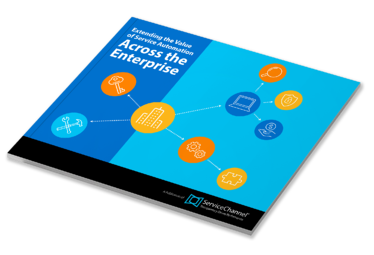 Download this free eBook to learn more about the benefits of adopting service automation across different teams and the important role FMs have in the company’s larger, broad-based business strategies.